Set to release in November, Hitman 2 promises to deliver more of what we loved about the episodic "reboot", Hitman. 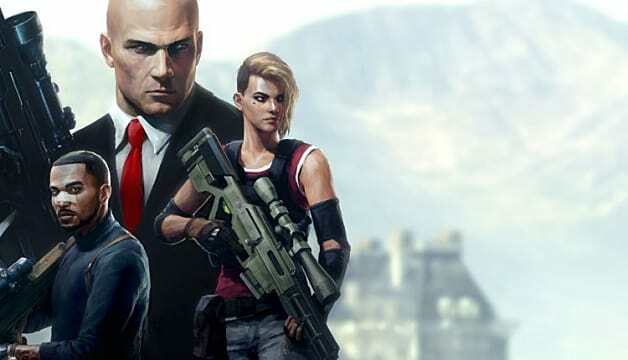 While the previous title did experience a few hiccups, many fans loved its take on Agent 47 and the world. 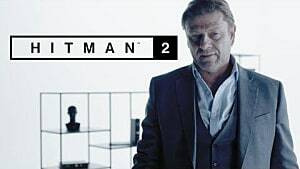 And from what we know, the sequel will once again send us across the world to take out bad guys and live out our very own James Bond fantasies. 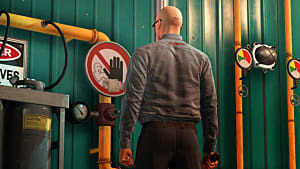 Based on the popularity of the last game -- and the franchise as a whole -- It's safe to assume that much of the core Hitman gameplay will return in Hitman 2. 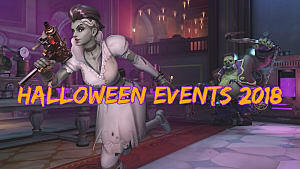 But instead of prognosticating about what may be in the upcoming game, let's take a look at what we do know so far. Though the Hitman series has never truly been revered for having the best narrative in gaming, for those of us who are into spy rings, assassins, and subterfuge, the series does a pretty decent job of checking all of those boxes. 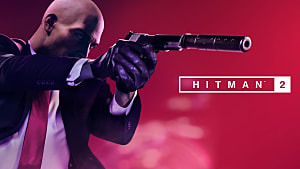 2016's Hitman presented an intriguing story where Agent 47 and his ICA handler, Diana Burnwood, find themselves in the web of a shadow client, manipulating the pair throughout the game. From what we know, Hitman 2 looks to continue that story in interesting, and sure-to-be bloody, ways. In Hitman 2, there are still going be plenty of garrotes, sniper rifles and silenced pistols to go around. Lavish locales will still provide the exotic backdrops for our assassinations. And we'll still need to stick to stealth instead of Rambo through the various levels if we hope to make it out alive -- and with the best scores. What we do know about Hitman 2 is mostly tied to the video above, which shows one of the game's missions, which is set in Miami. However, there are a few other things worth pointing out. It can be fun killing with clunky A.I., but that fun quickly wears off. So, IO Interactive have spent some time polishing Hitman's artificial intelligence. 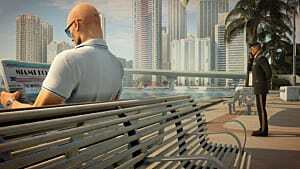 Though there have only been small details released by IO Interactive and through the game's E3 beta game-play, it does appear that Hitman 2's NPC A.I. has been improved immensely from the first game. As an example, if you sneak up behind someone in a mirror, they will react accordingly (yes, enemies can now see you in mirrors), which means you'll need to be much more careful if you're gunning for that silent assassin rating. IO is also making use of Hitman 2's big, NPC-filled levels by letting you blend into a crowd if a guard gets too close. Boasting many more NPCs and fuller levels than the previous game, blending in will allow you to keep a low profile and hide from "Enforcers" who would be able to normally spot you normally in a level. Crowd Blending was first utilized in 2012's Hitman: Absolution but was ditched for the 2016 release. Similar to the double image mode from Blood Money, in which you could see what was happening off screen, picture-in-picture promises to give more context while you work through your missions, helping you see what specific location(s) you should go to and showing you what happens when you distract a nearby guard. According to IO, this is not an optional feature and will not be able to be turned off. While a useful feature, I do hope that in the final release, the player has more freedom to turn off features that may seem intrusive. Of course, Hitman 2 will have pre-order bonuses and editions. Below, we'll outline what those bonuses are and what systems the game will appear on and the PC specs. Finally, we'll also provide links to all stores currently offering pre-orders. Note: Make sure to check each edition's release date as some release on November 13 and some on November 9. Hitman 2's standard edition release on November 13 and comes with the base game -- that's it. If you pre-order the Standard Edition, you'll get instant access to Hitman: Sniper Assassin. Expansion I, which includes currently undisclosed add-ons, such as missions, locations, weapons, outfits, and maps. Expansion 2, which contains even more currently undisclosed locations, maps, weapons, and outfits. Hitman 2 will release on the PlayStation 4, Xbox One, and PC on November 13, developed by IO Interactive and published by Warner Bros. Interactive. 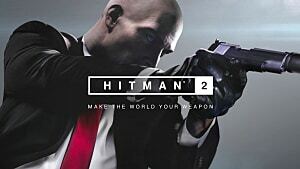 Where Can I Pre-Order Hitman 2? Sniper Assassin is a brand new game mode that also serves as a pre-order bonus. It introduces the series' first co-op game-play, and has so far, received positive reviews. 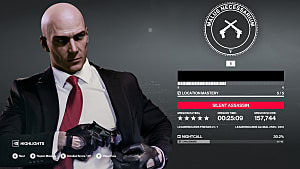 In the mode, you can choose to go it alone and play as Agent 47 or play with a friend, taking the roles of Agent Stone and Agent Knight. The first mission of the mode takes place overlooking a large mansion in which you must take out three targets and all of their bodyguards before time runs out. There is still an element of stealth gameplay to be had here, and you'll be rewarded more if you can keep things clean by shooting targets into bushes, off ledges, and into places they won't be discovered, but there is also a time-attack feeling that can be either positive or negative depending on your style. Hitman: 2 will officially release with its Collector's and Gold Editions on November 9, with its Standard and Silver Editions releasing on November 13. It will be released as a full game with live updates promising elusive targets, escalations, and future DLC. So get ready for more stealth action, explosions, and our favorite cheeky British handler. Stay tuned to GameSkinny for more news and info on Hitman 2 as it develops.